Book direct and save! Veena Gaines, owner of Acadia Cornerstone Real Estate manages Bar Harbor & Acadia vacation rentals for owners that have properties in the Bar Harbor & Acadia regions of Maine. We have managed Bar Harbor & Acadia vacation rentals for more than 5 years using sites like HomeAway & VRBO. You can still find the Bar Harbor & Acadia vacation rentals listed on our site in HomeAway listed by Veena. Veena is recognized by HomeAway as a “Premier Partner” due to her commitment to providing a great guest experience. In 2017 some of the vacation rental sites started charging a fee to the guest to book through them. This fee can be as high as 9%. We do not charge an additional fee. By booking directly with us as a guest, you save by not paying this extra fee. 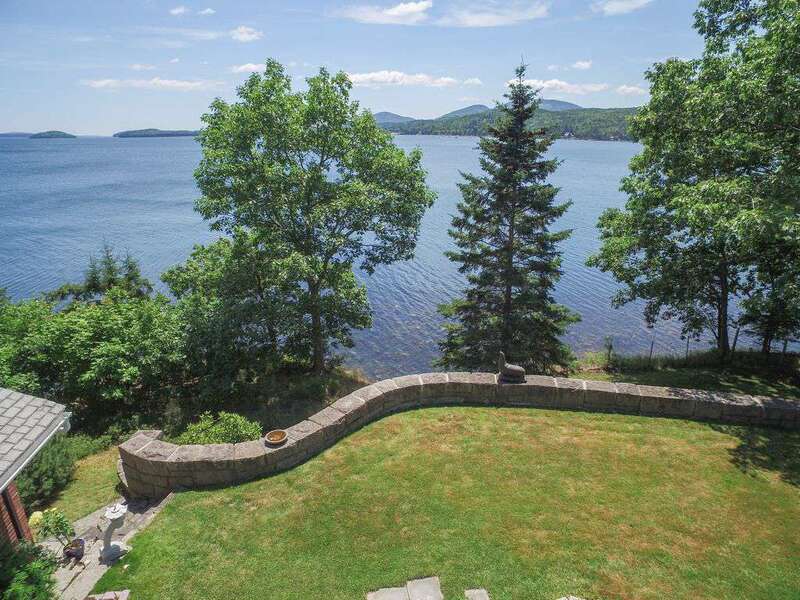 Review the listings below to find current availability for Bar Harbor & Acadia vacation rentals. Feel free to call us directly at 207-266-0832 if you have any questions. It is our pleasure to help you find the best options to have a wonderful Bar Harbor Maine vacation! Check availability for all properties here! In the “gateway to Acadia” and set on the shores of Union River Bay is this charming, beachfront, 3 bedroom home. A recent renovation just completed making this a very comfortable home away from home. Nice, large, newly added sun room with lots of windows to soak in the view and the fresh ocean breezes. Large master bedroom with picture window overlooking the Bay. Great access to a beach steps away from the house provides hours of fun beach combing and even swimming if you wish to try the chilly Maine waters! Check out the many birds and other indigenous wildlife including eagles, herons, loons, deer, you may even see a fox or a sea otter! Conveniently located just a short drive to Acadia National Park and Bar Harbor. This location has the best of both worlds, close to the action yet away from the crowds and a shorefront of your own. New to the rental market in August of 2018, come and see what those that have stayed with us have loved so much! Property Manager Veena Gaines, HomeAway Member since: 2013, Premier Partner: ​This HomeAway partner has demonstrated and is committed to fast response times, the best rates, and a great traveler experience. Downtown Bar Harbor, walk to everything, great location on a popular street. 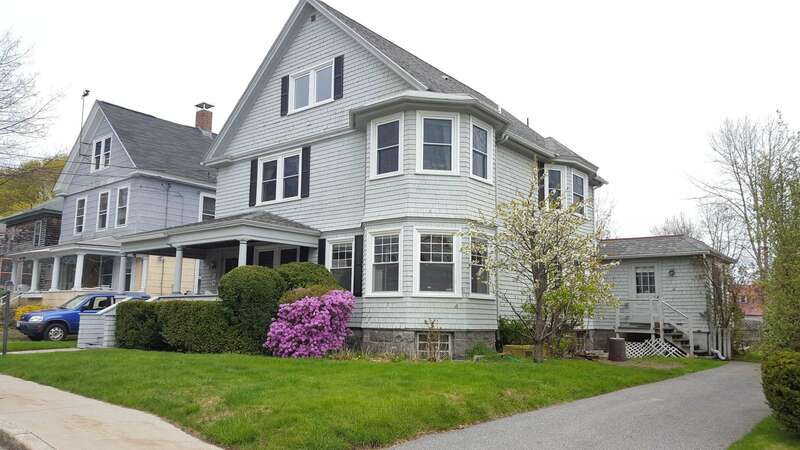 5 bedroom vintage home on upper Ledgelawn Ave, known as one of the most popular locations in Bar Harbor, just a few houses down from Mt Desert St. where all the action of Bar Harbor begins. The home was newly renovated in 2018, with beautiful hardwood floors, and comfortable beds. You can park 3 cars in the driveway and take the free Island Explorer bus (only 0.2 mile, about 3 blocks away) around Mt. Desert Island. Or walk on the nearby Shore Path to catch a tour boat at the town pier. You can ride bikes or take your morning run down Ledgelawn into beginning of Acadia National Park loop road. Our home has a rich history, once a museum for Maine Sea Coast Mission. The name “Song of the Sea” is from the music instrument store the owners previously ran on West Street, near the pier in Bar Harbor. Only 0.2 mile (3 blocks) away to the Village Green for town band concerts, YMCA, Glen Mary wading pool, restaurants, and shops. Newly renovated Park Street playground and the town ballfield are nearby and just a block away from Jesup library. An amazing place to be on July 4th to watch the parade go directly in front of the house and walk to the fireworks! For your enjoyment we have board games, DVD/CD player, movie DVDs and music CDs, four flat screen TVs, Washer and Dryer, Microwave, Coffee Maker, bath and beach towels. 2.5 bathrooms. We have air conditioning on first floor and rotating standing fans in every room. The air conditioners on the 1st floor are in the living room and dining room. There is also an air conditioner in one of the bedrooms on 2nd floor. Living room seats 10, flat screen TV. Dining room seats 10. High chair. Enjoy playing our family piano. First floor bedroom with full-size bed. Half Bathroom. Spacious well stocked kitchen with breakfast table. 3 bedrooms with queen beds, 4th bedroom with 2 twin beds, full bathroom (tub with shower). Views of Cadillac Mountain. Pack & play portable crib. 2nd full bathroom (tub with shower). Covered front porch with seating for 10. Backyard has propane grill and seating for 10 (shade and sun). 2 &1/2 bathrooms, both full bathrooms have tubs with showers. The perfect vacation retreat! The Lookout sits on an elevated oceanfront site, nestled in old growth shade trees and has amazing views of Frenchman’s Bay, located just a few minutes from the entrance to Acadia National Park and downtown Bar Harbor. Enjoy the private beach, beautiful gardens and the mountain vistas from your private yard. In the heart of all that Bar Harbor and Acadia have to offer and yet an exclusive and private setting. The property has a separate guest cottage which can be rented for and additional $1,500 per week plus taxes. The guest cottage sleep 3, a bedroom with a queen and the living room with single fold out bed. Additional cottage available that sleeps 3, with 1 queen and a single fold out bed in the living room. This quality Bar Harbor Town home with an open floor plan is just 10 minutes from downtown Bar Harbor and only 2 minutes from Hadley Point Beach. Built in 2006 this nice, well maintained home has wood floors on the first floor and a friendly atmosphere. 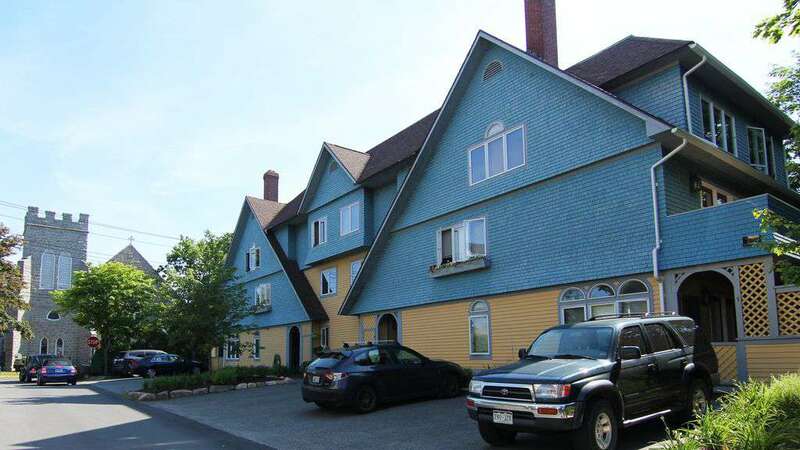 One of 2 units in this building, this home is in a quiet area away from the hustle, yet has close access to everything Bar Harbor and Acadia have to offer! All rooms have window air conditioners for additional comfort on warm days. In season you can flag down the free island explorer bus to get you into town and Acadia as well as back to your peaceful home away from home. This well maintained home is within walking distance to a beach and close to all the dining and shopping available in downtown Bar Harbor as well as the trails of Acadia. A spacious home with 3 bedrooms, 2.5 baths and a garage. Three bedroom, two bath log home with charming details. The perfect Maine getaway, all wood interior finish with a fresh look. 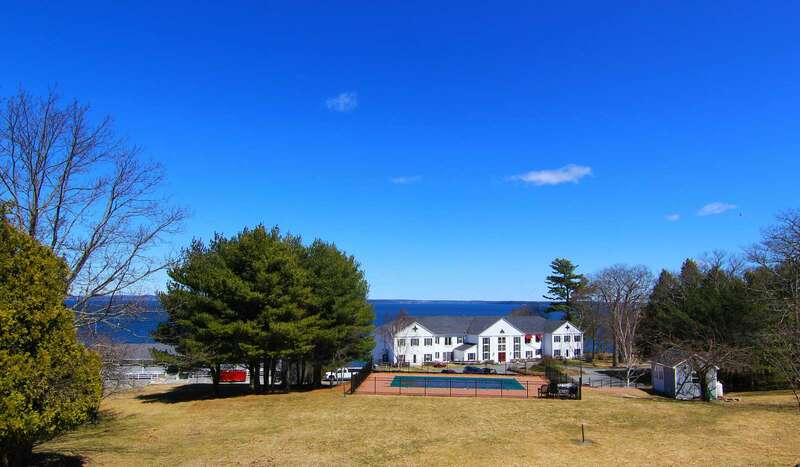 Located on Indian Point Road, a popular location close to everything Bar Harbor and Acadia have to offer. Set in a tranquil environment at the end of a long driveway in a private setting. On its own 3 acres and bordering conservation land for extra privacy. This classic log home has a covered porch, deck, recently renovated kitchen with granite counters and modern appliances. Enjoy lovely sunsets and a nice yard for picnics and other family activities. Close by is Bartlett’s Landing in Pretty Marsh with nice access to the water to launch your boat or go kayaking (see photos). Pretty Marsh is a great place to view a working Maine harbor with private yachts and lobster boats coming in with the days catch. Also nearby is Blagden Preserve, a 110 acres on Indian Point Peninsula on Western Bay. Parking is about .7 miles from the shore with nice trails through the woods and 1,000 feet of shoreline. Located just 2.4 miles away it is a great place for an outing away from the crowds. The dining room is off the kitchen, a good sized living room, first floor bedroom and bathroom. Upstairs is the master bedroom with sitting area (the only place with a TV since this is a getaway place!). Upstairs there is also a third bedroom with 2 twins and a second full bathroom. This home built in 1905 got a complete makeover in 2017. It has been updated into this attractive, captivating and beautiful home. 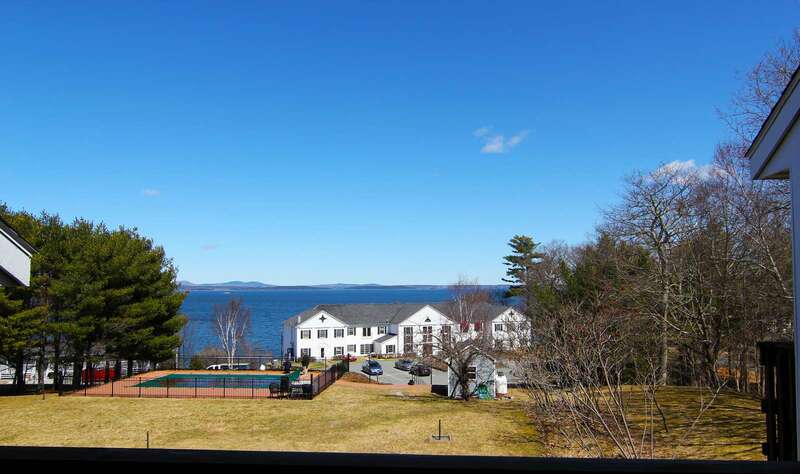 It is in located in the heart of downtown Village of Bar Harbor and on a quiet side street. The home was thoughtfully planned and furnished with super comfortable mattresses. The hard wood floors have been beautifully restored. It has a covered front porch, balcony and plenty of space for the vacationing family. In a tenth of a mile from this home you will find plenty of restaurants, shopping, whale watching excursion, puffin excursion, kayaking trips, three-masted schooner excursion to just name a few. Your cars can remain at the property while you take the free Island explorer shuttle to access the rest of the island. 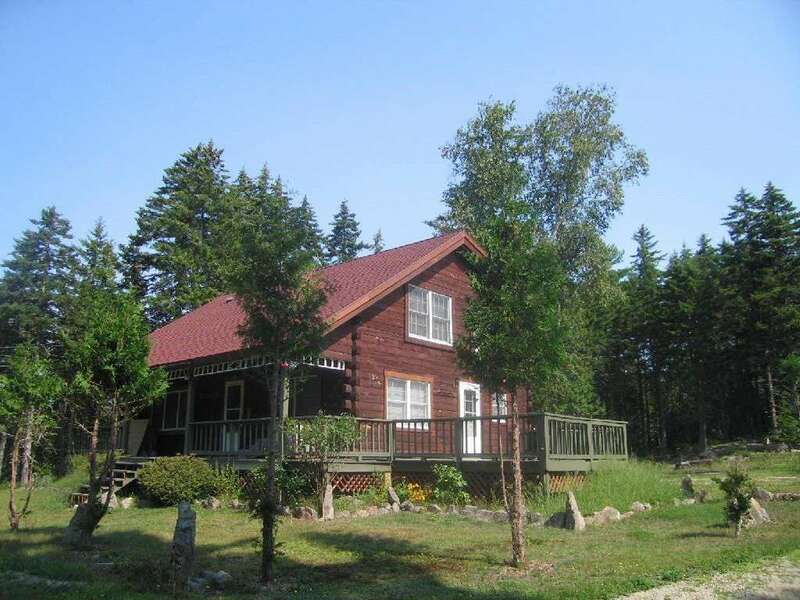 Access to the a few entrances to Acadia National park are about couple miles from this home. FIRST FLOOR: Entryway leads to a Living Room with new furnishings and flat-screen TV with cable premium channels. It has plenty of seating and lighting. Master bedroom with King bed, flat screen TV (with cable premium channels) with its own private full bathroom. 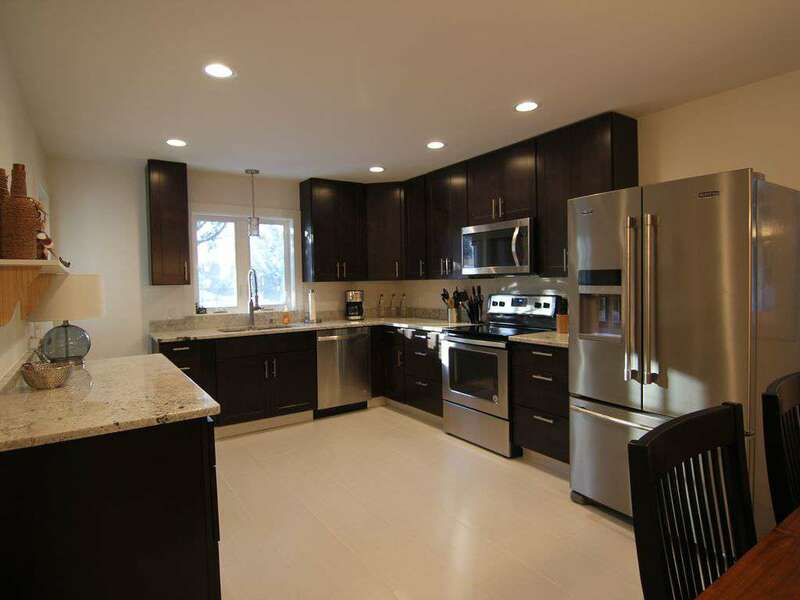 Brand new kitchen with all new steel appliances. Dining Room with table set up for six with one leaf to increase seating for up to eight people. Half Bath in hallway. Washer and Dryer. SECOND FLOOR: Bedroom one with King bed. Bedroom two with Queen bed. Bedroom three with Queen bed, Bedroom four with a Queen sleeper sofa with flat screen TV (for gaming, netflix etc). Two full bathrooms. OUTDOOR: Front covered Porch with wood table and chairs. Propane Grill in the back off the kitchen. Balcony of the second floor bedroom. Parking for 4 cars. AMENITIES: Wireless Internet, Well stocked kitchen, Sheet and towels provided. 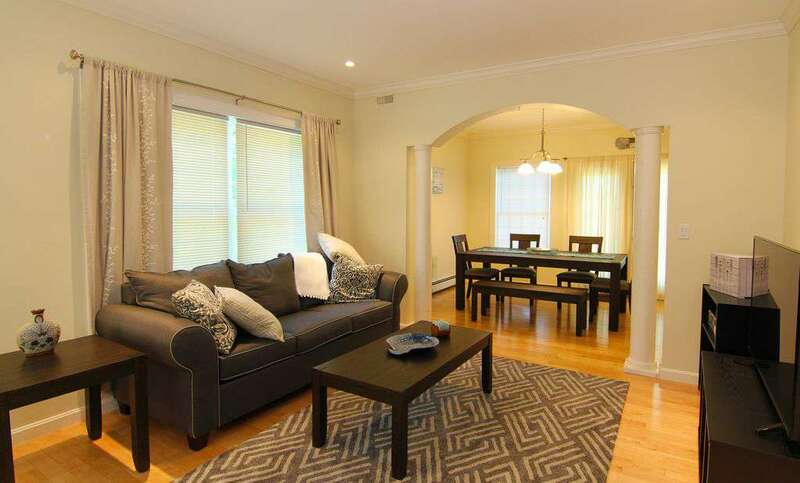 Charming condominium located right in the heart of Bar Harbor. First floor includes a small kitchen with seating for three at the bar and is open to the living room. It also includes a half bath on this floor. Second floor includes two bedrooms with double beds in each and a shared full bathroom with washing machine and dryer. Third floor includes a king sized bed with its own private bath. Property has a nice private deck in the back with outdoor seating for 6. Outdoor grill for your use. This condo is centrally located, and offers plenty of conveniences within an easy walk to all the shops, restaurants, library and harbor excursions. Four bedroom, three bath home in a secluded setting. Set back from a side road on a long winding driveway this newly renovated home is a great find for a large family or 2 or 3 couples traveling together. 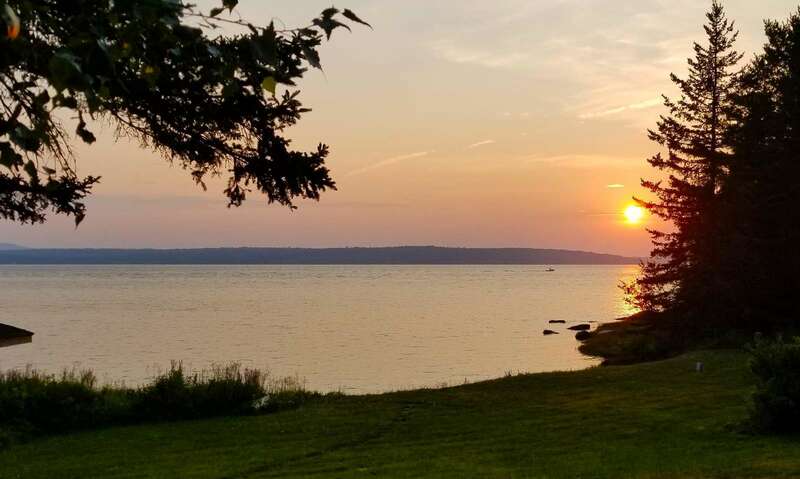 Located just off of Hadley Point Road, less than a ½ mile from Hadley Point Beach. This beach is a local favorite and not well known to the general public. A great place to beach comb, have a barbecue or launch your boat off the public ramp. 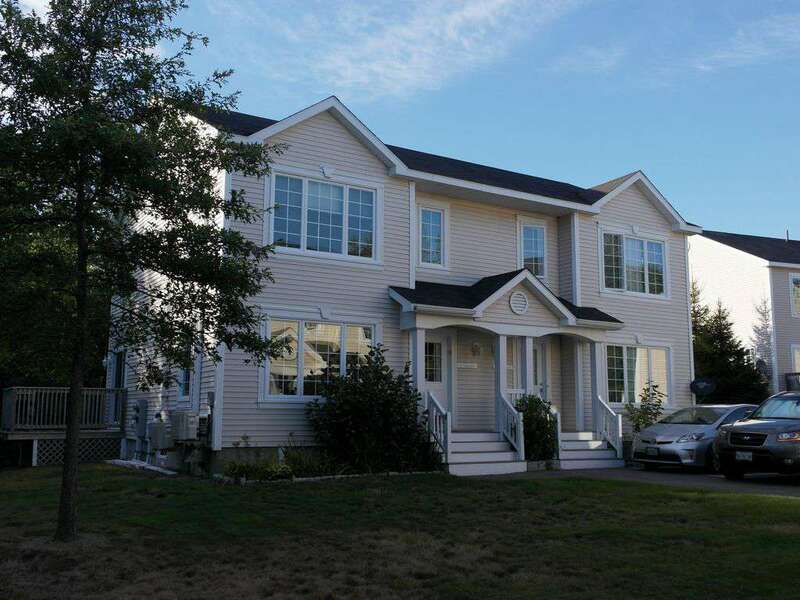 This nice home is close to everything Bar Harbor and Acadia have to offer. Downtown Bar Harbor and the entrance to Acadia are a short 7 to 10 min drive away. Bar Harbor has many shops and restaurants to fancy every taste. Don’t forget to have a Maine lobster dinner while you are here! Acadia with its 50 miles of carriage trails and many miles of hiking trails is one of the nicest National Parks in the country. The scenery and views are truly outstanding and will give you many hours of enjoyment. After your day of hiking come back home to enjoy the comfortable lodging Bar Harbor Serenity has to offer. The open floor plan with the kitchen, dining area and living room give an easy place to spread out and relax. With one bedroom downstairs and three upstairs there is nice accommodations for all! Ocean Views and convenient location. This home has the feel of a deluxe resort, yet is close to downtown Bar Harbor and surrounded by nature. Relax in the pool during the summer months. Walk on the beach at sunset, get a pizza at the nearby sandwich shop, enjoy the catch of the day at the seafood restaurant across the street, watch gulls and eagles fly overhead, or walk on the nearby Breakneck trail to see a waterfall. You can park in the garage and our driveway and then ride into town on the nearby Island Explorer bus. You can ride bikes or drive to the Acadia National Park Visitor Center about a half mile away and get onto the carriage paths from there. Quality Home with a spacious open floor plan, includes 3 bedrooms (2 with flat screen TVs) and 2 1/2 baths . Oak wood floors in living room with a flat screen TV. Dining Room off the kitchen. Carpeted bedrooms with large closets. Master bedroom with private full bath and flat screen TV. Watch lobster boats and sailboats pass by while you cook in the large well stocked kitchen. 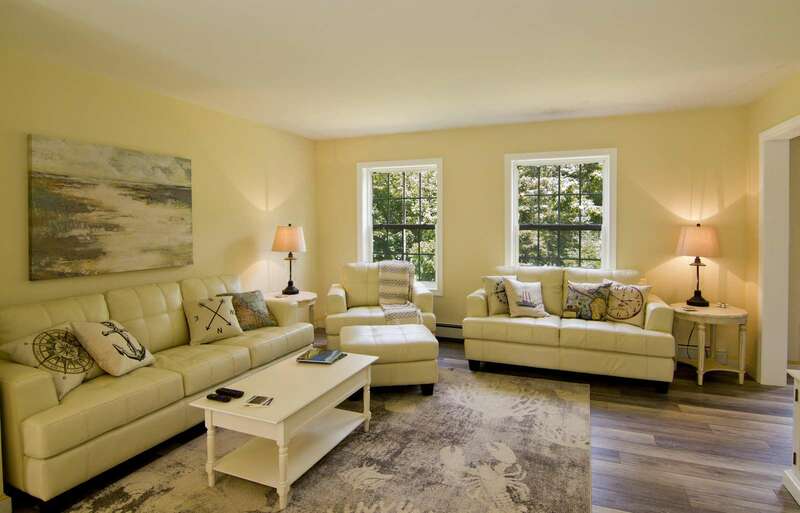 An inviting modern five star rated town home with three spacious bedrooms and two and a half baths is available for your stay in beautiful Bar Harbor. There are wood floors in the living room with flat screen televisions in all the rooms including a new large HD TV in both the living room and master bedrooms. Cable includes HBO and Cinemax so you won't miss any of your favorite shows after enjoying all that Bar Harbor and MDI has to offer. All bedrooms are located on the second floor and have wall to wall carpeting. Amenities include a new, state of the art quiet air conditioning system throughout the house, washer, dryer, wifi, dvd, and a comfy queen sleep sofa in the living room and a Posturepedic queen in the master bedroom. All the house furnishings are of high quality, new or almost new. Step out on the deck off the kitchen and enjoy a very private and quiet breakfast overlooking lush forest, and later enjoy a summer barbecue on the outdoor grill before strolling down to the harbor or listening to an outdoor concert on the village green. The house is just a short easy walk to downtown and is at the edge of Acadia National Park's entrance that leads to the famed Carriage Trail. 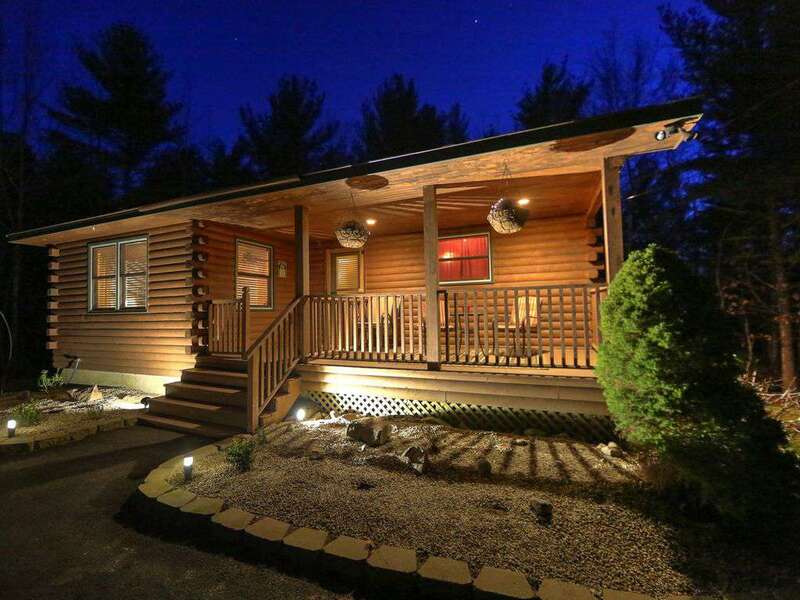 Enjoy the perfect getaway and experience true Maine living in our quiet log cabin located only about 10 minutes from downtown Bar Harbor and even closer to the entrance of Acadia National Park. Our well-appointed home features a spacious living room, bright kitchen, 3 bedrooms (a king bed, one queen bed, and two twin beds) and 2 bathrooms. As you drive up to our property on a newly paved driveway, you are greeted by a welcoming farmer's porch. The main floor includes the living room, fully-equipped kitchen, two bedrooms and a full bath. The lower level includes the master bedroom with king bed, bathroom and shower. This lower level remains very cool during the summer and has a door to the outside, and each room throughout the house includes ceiling fans. Our cabin also features cable TV in both the living room and master bedroom, a charcoal grill, free wireless high-speed Internet throughout the whole house, picnic table, badminton, as well as a washer/dryer. Take a look at our pictures -- our cabin is comfortable and makes you feel right at home, and not too cluttered like some rentals. Perfect for families, couples or single people. Come enjoy, relax and unwind in the perfect private vacation retreat -- 'Our Cabin on Meadow Drive' in beautiful Bar Harbor, Maine! Welcome to Acadia Birch Tree Townhouses! Spacious accommodations with Ocean views and walking distance to downtown Bar Harbor. Staying here you will have an ideal location for your stay in Bar Harbor and your adventure in Acadia. Located just a little over a mile from the Bar Harbor town pier allows you to park your car and leave it for the duration of your stay. The rest of downtown Bar Harbor is even closer and there is a brand new walk way that makes it a convenient and beautiful way to get into town. Or if you prefer, you can hop on the Island Explorer right across the street and go downtown or anywhere else in the park and the local area. Acadia National Park entrance is only 2 miles from your doorstep. Or you can take your bicycles and cross the street to a path that brings you directly onto the park roads! This very convenient location not only has a great view of Frenchman Bay but also puts you close to all Bar Harbor and Acadia has to offer. The first floor includes a Master Bedroom with a Queen Bed and a gas fireplace. Step right out on to a covered patio and enjoy a picnic in your back yard. The second bedroom has a queen bed with a full bathroom. The second floor includes Kitchen, dining, half bath, and living room with television and a deck with views of Frenchman Bay. These townhouses were previously part of the Bayview Hotel. The townhouses are no longer affiliated with the hotel so the hotel amenities like the pool and the hotel breakfast are not included in this vacation rental offering. The first floor includes a Master Bedroom with a Queen Bed and a gas fireplace. Step right out on to a covered patio and enjoy a picnic in your back yard. The second bedroom has a queen bed with a full bathroom. The second floor includes Kitchen, dining, half bath, and living room with television and a deck with views of Frenchman Bay. The third floor loft has a large area with 4 beds.